Well, so I know green tea is actually a beverage, but tea leaves come from a plant! Even though I love black tea, I drink green tea every day because I know that it is a great source of antioxidants and a unique amino acid, L-theanine that helps relax your body and lower stress. When the tea is hot, the bionic brew releases catechins, a kind of antioxidant with proven anti-cancer and anti-inflammatory properties. 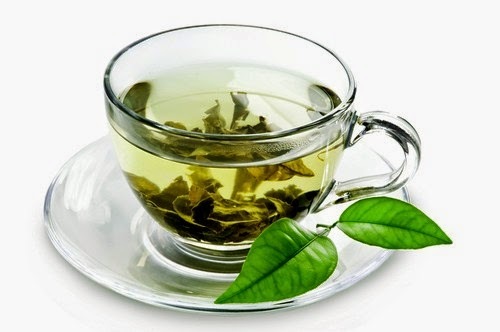 Green tea may also reduce your risk of developing high blood pressure. Drink 3 or more cups of tea every day for better results. Red bell peppers are a tasty vegetable that can be enjoyed either cooked or raw. One red bell pepper contains more than 100% of your daily vitamin C needs. It also contains significant amounts of dietary fiber and vitamin B6. Moreover, it is rich in carotenoids that can help prevent wrinkles and increase blood circulation to your skin, helping it look more youthful. Due to their carotenoids, red bell peppers are also great to fight acne. 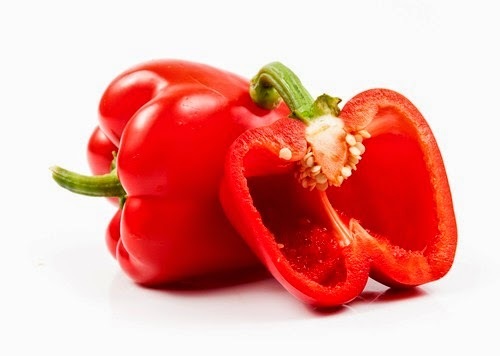 A red bell pepper is a perfect, low calorie snack that contains about 30 calories and has a really satisfying crunchy bite. Keep slices of red bell peppers in the fridge, so you will always have something healthy and tasty to reach for when you are having a snack attack. The fiber that a bell pepper contains will help you to feel full longer with very little calories. Plus, you will have a flawless skin! 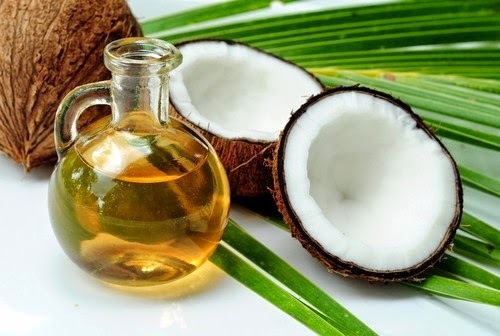 Coconut oil is one of the richest sources of saturated fat with about 90 percent of calories as saturated fat. It contains lauric acid, a powerful antibacterial and antiviral agent that keeps away viruses, infections, inflammation and acne. Coconut oil is also rich in essential fatty acids and Vitamin E, which are perfect for keeping your skin moist, soft, and wrinkle-free. Papaya is a wonderful fruit which has a rich history and numerous nutritional benefits. It is very low in calories (only 39 calories per 100 g!) and also contains no cholesterol. 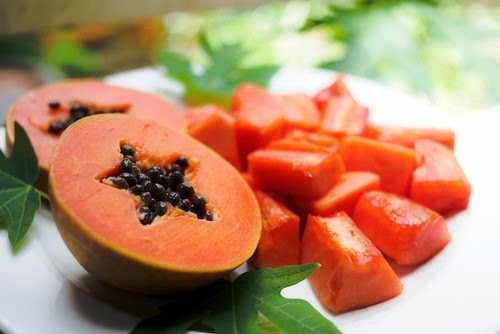 So if you are trying to lose weight, consider eating papaya every day to maximize its health benefits. 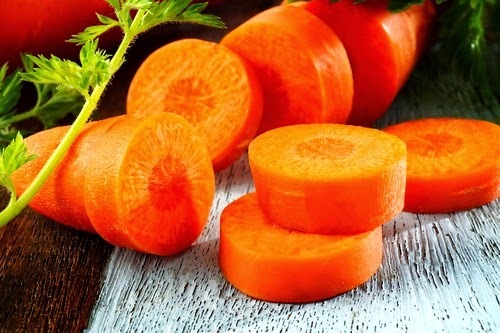 Carrots are good not only for your eyes, but also for your skin. They are especially good for clearing up breakouts. Carrots are rich in vitamin A and they help prevent the overproduction of cells in the outer layer of the skin. That's where excess sebum combines with dead cells and clogs pores. Another great reason to snack on some carrots is because Vitamin A reduces the development of skin-cancer cells. So make sure you nibble on a half-cup of baby carrots every day for perfect skin. I love carrots and I think they make a great snack. You don't have to eat all these foods every day, but even some of them would be great! Be sure to avoid junk foods, too much sugar, trans fats and refined carbs for the best skin possible. Which of these foods do you eat every day? Share your thoughts, please, and thanks for reading!